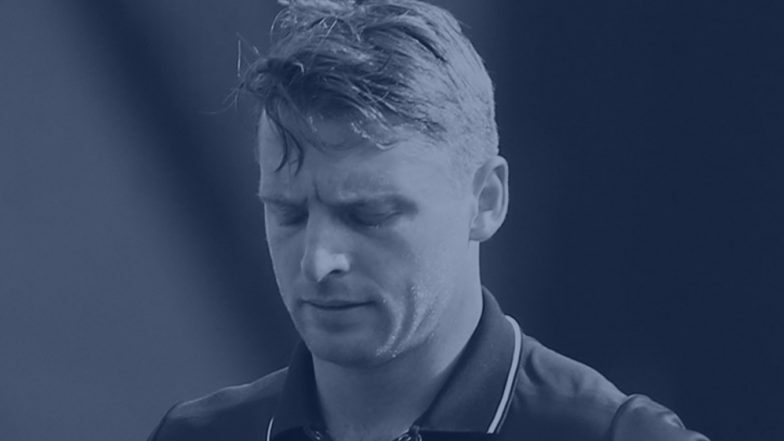 Jaipur, March 25: Rajasthan Royals opener Jos Buttler on Monday became the first victim of 'Mankading' in the history of the Indian Premier League when a desperate Kings XI Punjab skipper Ravichandran Ashwin dismissed the batsman in the controversial manner during their IPL match here. With Buttler going strong at 69 off 43 balls while chasing 185 runs, Ashwin mankaded the Rajasthan Royals opener without giving him any warning. As per the laws of the game, the third umpire declared Buttler out but such a dismissal had always raised eyebrows as it is considered against the spirit of the game. As expected Buttler seemed furious and had a heated exchange with Ashwin before leaving the field. LIVE RR 170/9 in 20 Overs| KXIP 183/4 |RR vs KXIP, Live Cricket Score of IPL 2019 Match: KXIP Wins by 14 Runs. The dismissal is sure to create a big controversy going into the 12th edition of the IPL. Rajasthan were 108 for one in 12.4 overs at that stage. Among Indians, it was Kapil Dev who had mankaded Peter Kirsten of South Africa during the 1992-93 series and in Indian domestic cricket Railways' spinner Murali Karthik had mankaded Sandipan Das of Bengal during a Ranji Trophy match.